The wish that Maaveli was granted by Lord Vishnu was to be able to see his people once every year and here Comrade Software Dubai ensured that the sight he saw this year Dubai was a great one. Preparations for Onam this year were bigger scale than ever. 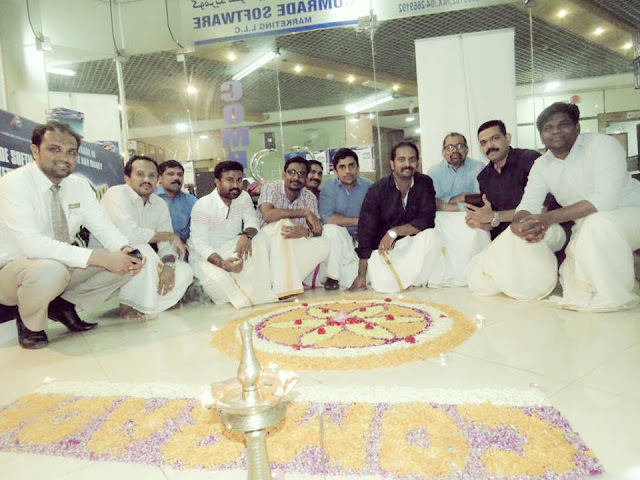 By morning itself Team Comrades got prepared by wearing traditional shirt and mundu and actively participated in designing the pattern for traditional pookalam(Flower Carpert) and filling the pattern with colorful flower petals. Onasadya was prepared and served by team comrade. 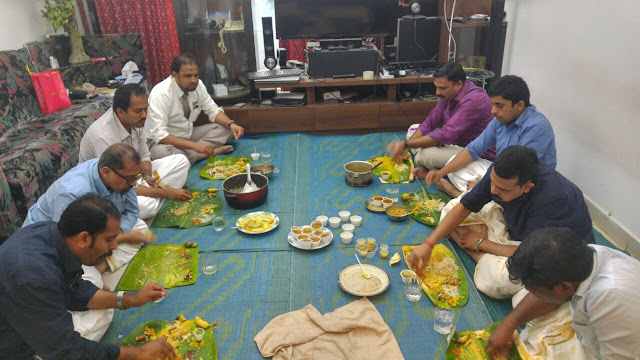 It was a traditional sadya with Parippu, Pappadam , payasam served in banana leaves. 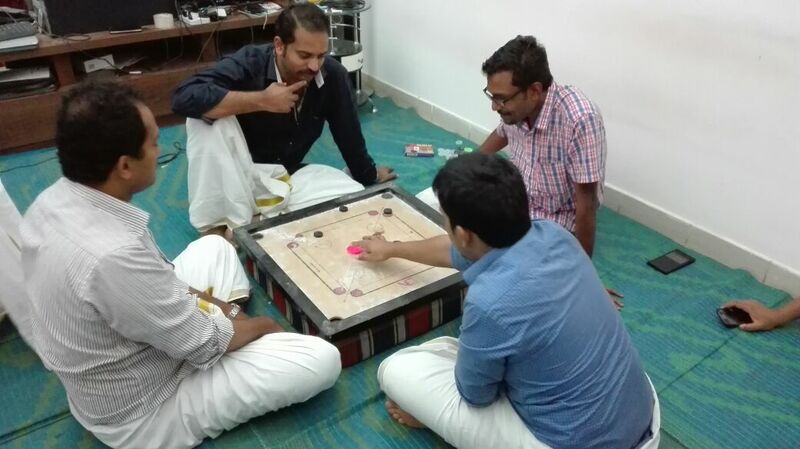 After the Onasadhya there began official onam competition. 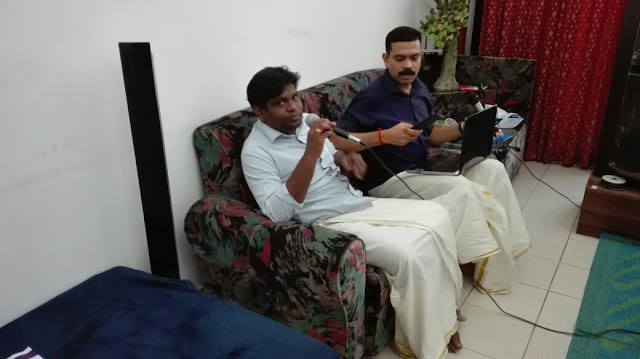 Onam songs were performed by partner and managing director Mr. Sam Kurakar senior project lead Mr. Manoj K Balakrishnan and Comrade Ultra Project lead Mr.Abhilash Krishna. 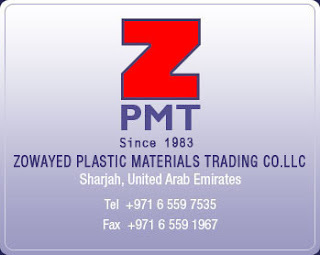 Mr. Johnson, Head Support Division, Mr. Subair Ali,from Support Division, GCC, Mr. Shakkeel Ahmed, Business Development Division, Mr. Praveen Money, Comrade Ultra Project Head, Mr. Manu Kurakar, Comrade ME, Mr.Reuben Thomas Canavil, Systems Division, Mr. Justin Scaria, Hardware Department and Mr. Sabu Ismail, Dubai Branch Head was present during the onam celebration.